There is a view that butterfly is a very difficult, exhausting stroke, but this need not be so. I learned to swim butterfly using the Shaw Method and from being completely unable to swim this stroke I can now manage several lengths. Remember the key part of any stroke is the glide. In butterfly you glide as you bring your arms over your head and your body is moving forward and slightly upwards through the water. 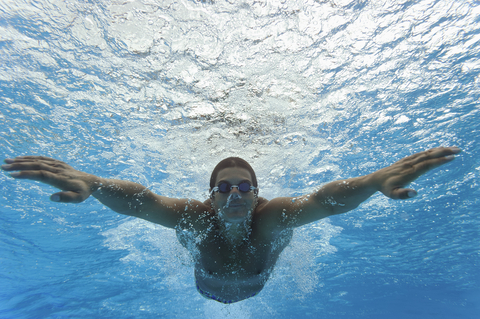 swim slowly and evenly and you will soon build up stamina and rhythm. This entry was posted in learning to swim, Shaw Method, swimming technique. Bookmark the permalink.